With yesterday being what would have been Steve Jobs’ birthday had he still been with us, there’s arguably no better day to show off a new statue of the man. Talk of such a thing has been on the go ever since he died following a battle with cancer, and today is the day that we got to see what it will actually look like. 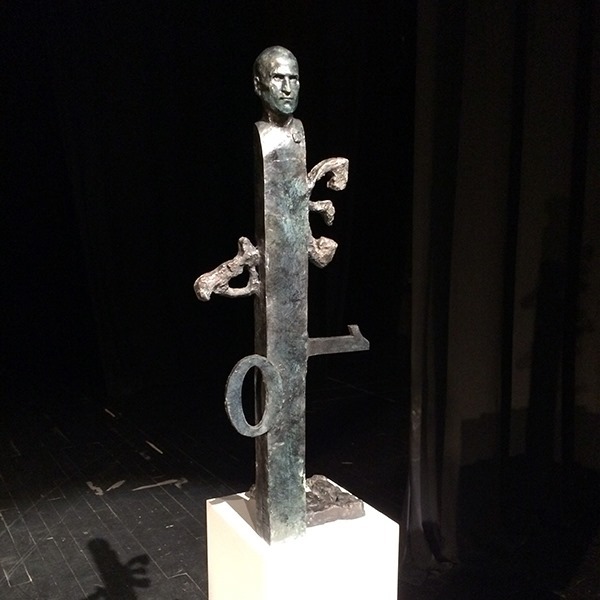 Unveiled in Belgrade and created by famed Serbian sculptor Dragan Radenovic, the bust of Steve Jobs is the culmination of a 10,000-entry-strong competition which saw this particular effort come out on top. 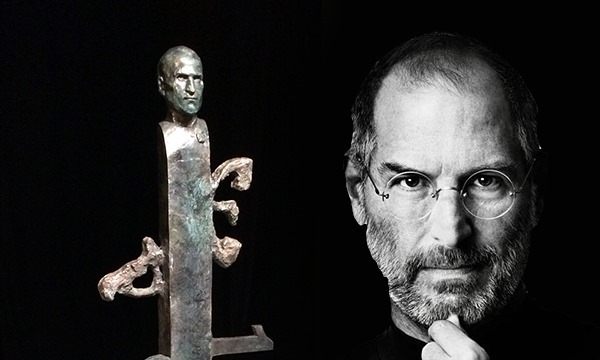 The statue will eventually be placed at Apple’s head quarters in Cupertino. The version unveiled is actually a smaller version of what will eventually stand between 10 and 16ft tall. Featuring Steve Jobs’ head atop a structure which includes protruding letters and numbers, the entire thing was shown to Apple executives in sketch-form prior to its unveiling and we hear they liked the ‘imperfections’ in the work. We’re not sold really, but we don’t have to look at it every day on the way into work! I wanted to present some of the recognizable Serbian motifs such as a letter ? which is the last letter of the Serbian alphabet and Apple rather liked the idea. I’ve also placed the Latin letter A and binary code 0.1 too. I’ve wanted it all to represent a sort of “magnet”. We can’t say we’re big fans of the work ourselves, though we can see why more artsy types are taken by it. The bust is all well and good, but the rest unfortunately just isn’t our cup of tea. We suspect nobody at Apple nor the sculptor will care too much about that though. 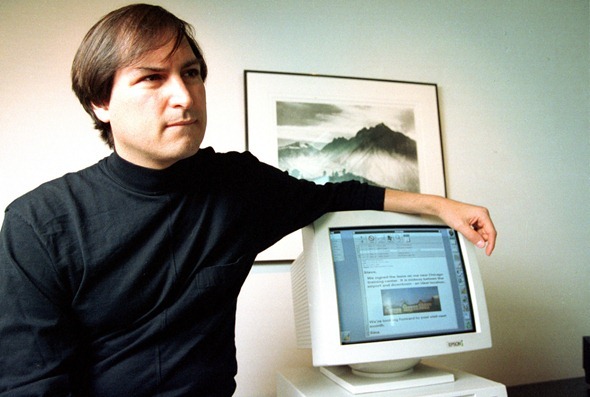 Yesterday would have been Steve Jobs’ 59th birthday had he been alive, and with Tim Cook and all at Apple remembering the man on his birthday, it’s somewhat fitting that today is the day where his statue is unveiled. What do you think of the statue? Share your thoughts with us.